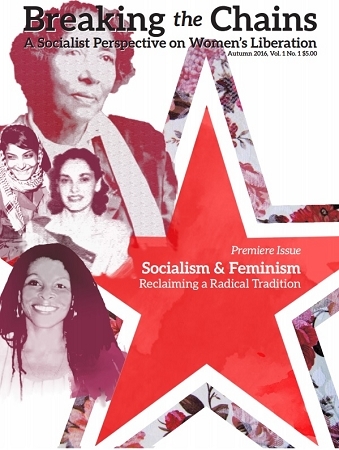 In this first issue, we have wrestled with a central question…What does it mean to be a revolutionary socialist and a feminist? Feminism is often maligned, ridiculed and disavowed by both women and men, or, alternately, claimed by ruling-class politicians for their own self-serving purposes. The ruling class of the United States, men and women alike, could not care less about the needs of working and oppressed women at home or abroad. Our first issue lays out the contours of this concern. In poetry, art, theory, information, opinion, argument, history and narrative, the lines are drawn. We are revolutionary socialists. We are feminists. Join us. The struggle for women’s rights must be linked to the struggle against racism. We have a basis for unity in our fight for liberation. Hillary Clinton claims to be an advocate for women’s rights both in the United States and abroad, but in reality she embraces a legacy of destruction with the pretext of progress. Just because she is a woman does not mean that she represents the interests of all women.